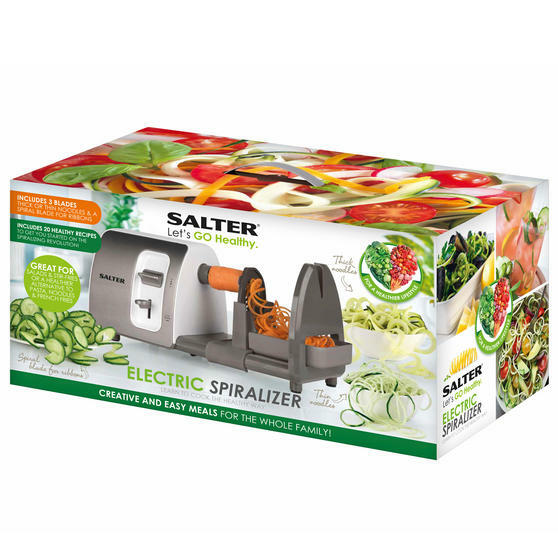 Make creative and nutritious meals for your entire family with this Salter electric spiralizer. This spiralizer is perfect for experimenting with salads and stir fries, as well as providing a healthier alternative to pasta and noodle dishes. With 3 stainless steel blades to choose from, you can even create spirals and ribbons with different thickness and textures.